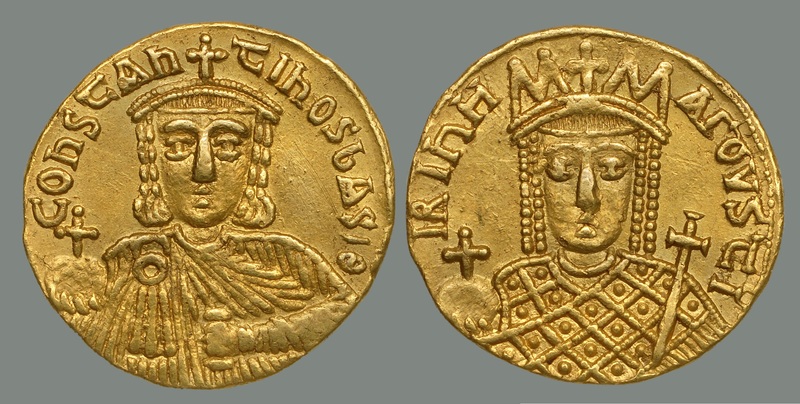 An army revolt leads to Constantine becoming sole ruler. But soon Irene is back in the palace while her son searches in vain for military glory. Eventually though her desire to rule again overwhelms her love for her son. Hi Robin, great podcast as always. This may be jumping the gun slightly, but I know the coronation of Charles is right around the corner so I suppose I’ll ask it now – how did the Romans view the Holy Roman Emperor? Did they take the modern historian view that it was neither Holy nor Roman nor an Empire, or did they see it as being in any way a coequal title or some sort of successor to the Western Empire? In the same vein, did anyone outside of the Byzantine sphere still think of themselves as Romans, or had their identities been subsumed into the medieval successor states? Would anyone in northern Italy/France call themselves a Roman? How did the Bulgarians get so good at beating up the Romans? Was it just a combination of luck, home field advantage, and Roman arrogance? Was the Bulgarian kingdom a more well organized state then I am picturing? What was the relationship between Constantinople and the lost Eastern metropolises like Antioch and Alexandria? Was there still any kind of cultural exchange going on, or had that died down by this point? I was wondering did the Romans in Cobstantinople circa 800 still believe that the lands of the old Roman Empire were still theirs? I suppose like a legal fiction so to speak. I’m excited we are getting into the ninth century and the beginning of the byzantine recovery. It looking forward to where the podcast is heading. Robin, here’s an end of the century question: How much more advanced were the Romanoi than their European counterparts at this point? Was the population as a whole more literate? Was their knowledge of ‘practical’ arts such as medicine, metallurgy, and agriculture that much more advanced than the nascent empire that Charlemagne was forming? Or has the difference in technical proficiency been exaggerated over the centuries? Another question, which probably requires some wild speculation on your part – do you think the Theme system was a more robust defensive strategy than the earlier field army model, or was it only successful because of the reduced circumstances of the Romans (both in terms of available resources and territory to defend)? Also, what’s going on on the north side of the Danube? Are the avars still kicking around waiting for the Magyars to show up? THIS is the episode I’ve been waiting on for over 2 years. I have a sister named Irene and I can see a number of similarities. On a serious note, I know you started out looking up to Mike Duncan. But you have left him behind. This episode is the best you’ve ever done. 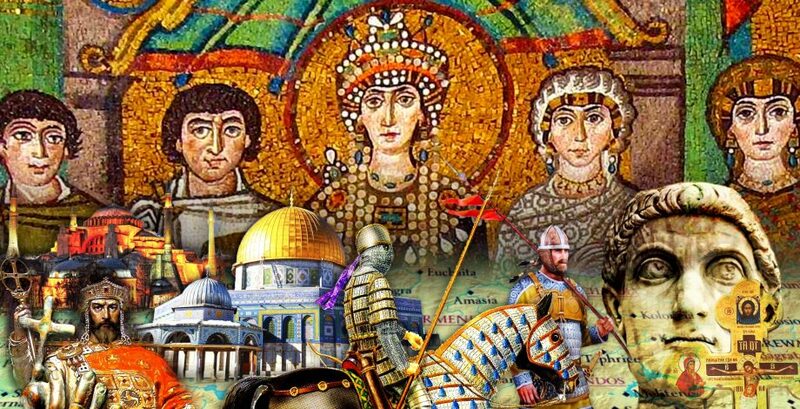 Not exactly a history question, but – Byzantine history is very under-represented in film. What stories you’ve covered on this podcast do you think would make a good a movie or miniseries? What is the state of Roman/Byzantine construction capabilities at this point? You mentioned that it was likely the Byzantines could not have built the Theodosian Walls from scratch at this point in time due to lack of knowledge but they did repair the aqueduct of Valens so they had to hold onto some of their previous Roman construction skills. Were their building skills still superior? On a related note, how about something on how the former Byzantine provinces were de-Hellenised and de-Christianised? Wikipedia mentions that after the Arab conquest of Egypt, the Greek inhabitants were given the choice between emigrating and paying jiziya, many choosing the former. When did the inhabitants of these regions stop consider themselves Roman? I know this is rather late, but I just want to tell you that this was an awesome story that you relayed with quite a bit of oratory skill. You’ve even inspired me to start to work on a play based off of these events, as this story is simply too intense and engaging not to use. It probably won’t come to anything, but this has certainly got me thinking.